Can I change an e-invoice after sent? CenPOS revenue audit trail and invoices. Can I change e-invoice after sent? CenPOS revenue audit trail and invoices. Our business to business service company frequently alters invoices after a customer calls in. 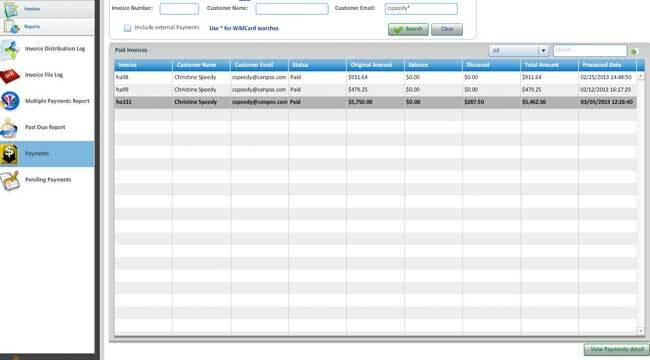 After CenPOS delivers an electronic invoice, how can I change it? Allow a partial payment. If the new amount due is less than the original invoice, allow the customer to make a partial payment by turning on the option in the EBPP merchant configuration. Communicate the new amount due with the customer outside of CenPOS and have the customer make a payment against the original invoice delivered. If the new amount due is more than the original invoice, issue a second invoice for the difference. Mark the invoice as paid and issue a new invoice with the same number. This removes the invoice as pending within CenPOS, but is probably not a best practice for accounting. Founded in 2009, Miami-based CenPOS is a SaaS, private cloud payment technology provider. CenPOS is an intelligent payment processing network that streamlines the payment experience for businesses and consumers by using state-of-the-art technology to replace inefficient, outdated payment systems. Electronic Bill Presentment and Payment, EBPP, streamlines the collections process and creates many efficiencies for merchants and their customers. EBPP is easily implemented with existing accounting systems, and includes both a secure merchant portal and secure customer portal. Global Sales: Christine Speedy (954) 942-0483. This entry was posted in CenPOS, EBPP, knowledege base and tagged CenPOS, e-invoice, EBPP by Christine Speedy. Bookmark the permalink.